My colleague (and Nemesis) introduced me to this owl. 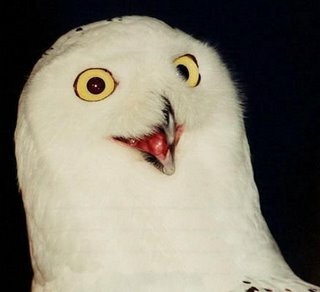 It turns out there's a whole website devoted to the O Really Owl. Internet: blessing and scourge of modern life. My favorite is the "give me cookies" owl. Nice to see the O Rly Owl getting some love and providing some entertainment. Where would our lives be without the completely ridiculous?